Happy Monday everyone and to all those Tone It Up girls out there, happy Bikini Series day! Today marks the start of the next eight week journey you’re going to make. It will be tough but fun and with a community to support you, it will be empowering too. I will note that I don’t have the whole TIU package; I have bought most of the DVDs/videos and some of the equipment but I don’t have the nutrition plan. For me and my diet, I think there would be a wide range of meals that I wouldn’t eat because I’m the world’s fussiest eater! My main goal with food is to snack less and choose healthier options if I can. My diet currently consists of mostly chicken and rice (I’m bland, I know) but because my dad is on a low carb diet right now and trying new recipes, I’m trying the odd bits and pieces with him! 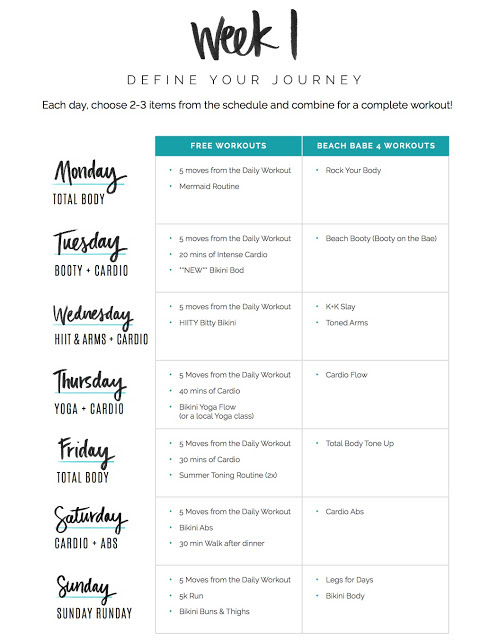 You can do the entire programme for free though; here is this week’s programme which includes the free workouts on the left and the Beach Babe 4 DVD equivalent on the right. 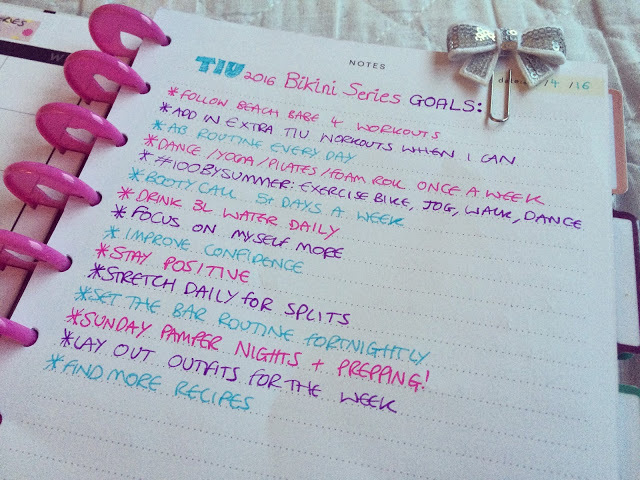 To help you out if you’re looking into joining the Bikini Series, here’s a look at my top tips. Word of warning, my progress picture does feature so watch your eyes! Invest in refillable water bottles, a water filter jug and lots of tupperware! I will say because of shipping to the UK, the only TIU items I have are the resistance bands (which are en route) and Beach Babe 4. All the other equipment I’ve bought from Sports Direct or Amazon. 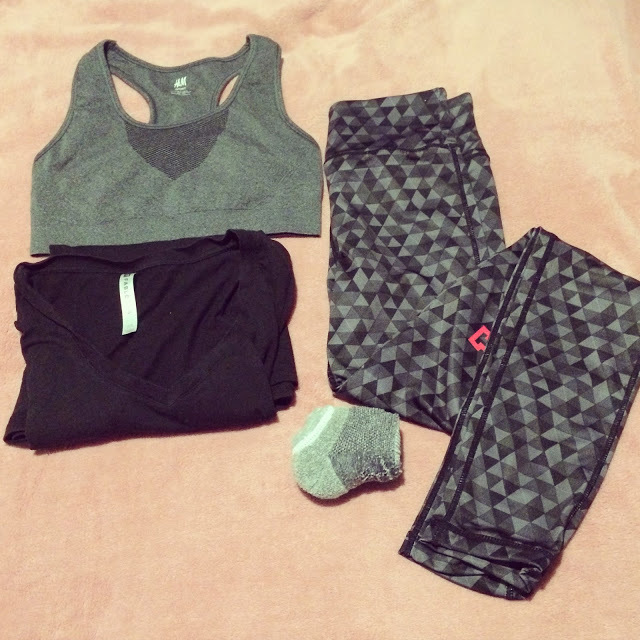 Lay out outfits for the week= sports bra, pants, top, underwear, socks, headphones! So there you have it, the Bikini Series is underway! I’m really pleased with how Day 1 has gone so I’m hoping to stay strong for the rest of the week. Come back next week to see how the entire Week 1 has gone! Are you a TIU girl? 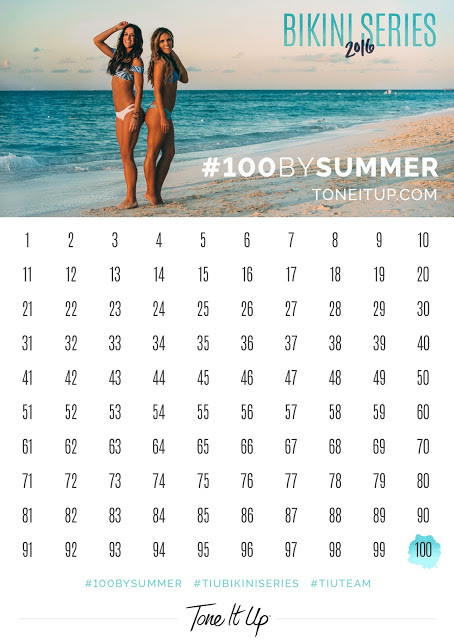 Are you joining in the Bikini Series this year? 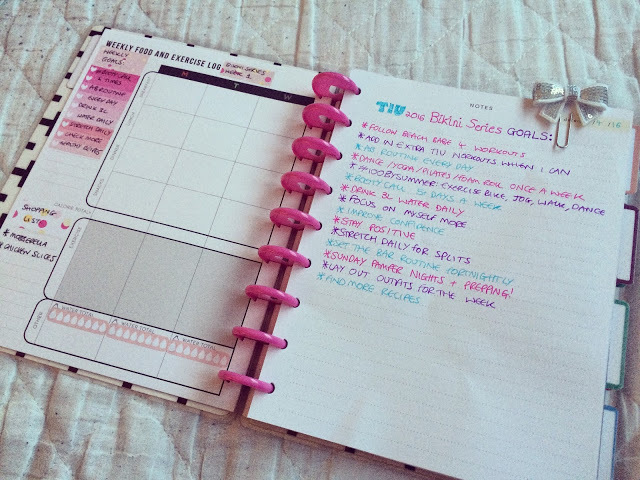 Leave me a comment below and we can be accountability buddies!